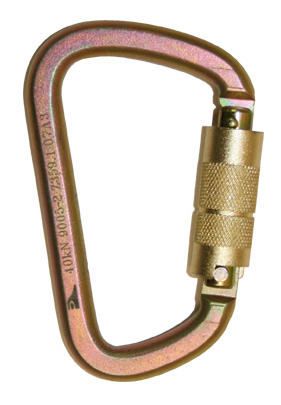 The ProPlus™ Carabiner is a plated steel alloy, auto-locking carabiner. *MBS Minimum Breaking Strength. This identifies the amount of force required to break the carabiner. This is not a Working Load Limit (WLL). The WLL is determined by the user based on type of use, work conditions and Standard, where applicable.